The CEO reflects on his first year at the helm and what is in store for the national association. 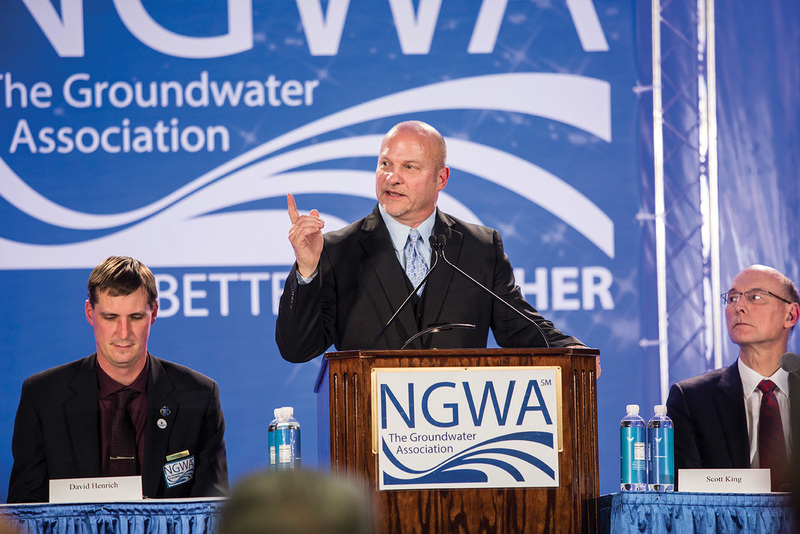 As 2018 concluded at Groundwater Week with a flurry of activity, we sat down with National Ground Water Association CEO Terry S. Morse, CIC, to discuss his first year leading the Association. Following a year which saw membership stronger than ever, the debut of enhanced benefits like updated insurance offerings and an online collection of resources titled Contractor’s Toolkit, and an historic signing of a memorandum of understanding with the Water Systems Council, Morse was optimistic, but quick to point out NGWA must continue to evolve. The conversation covered successes, highlights, areas to improve, goals for 2019, and everything in between. 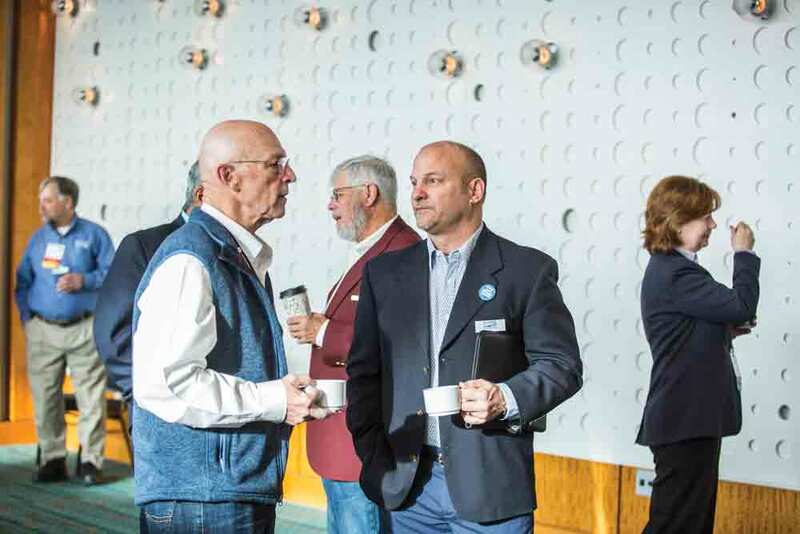 A “Coffee with the CEO” session was added to Groundwater Week in 2017 so Morse could meet and interact with industry professionals at the event. 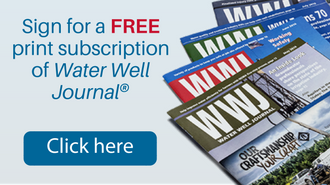 Water Well Journal: So, Terry, your first official year as NGWA CEO is under your belt. How would you describe the first year? 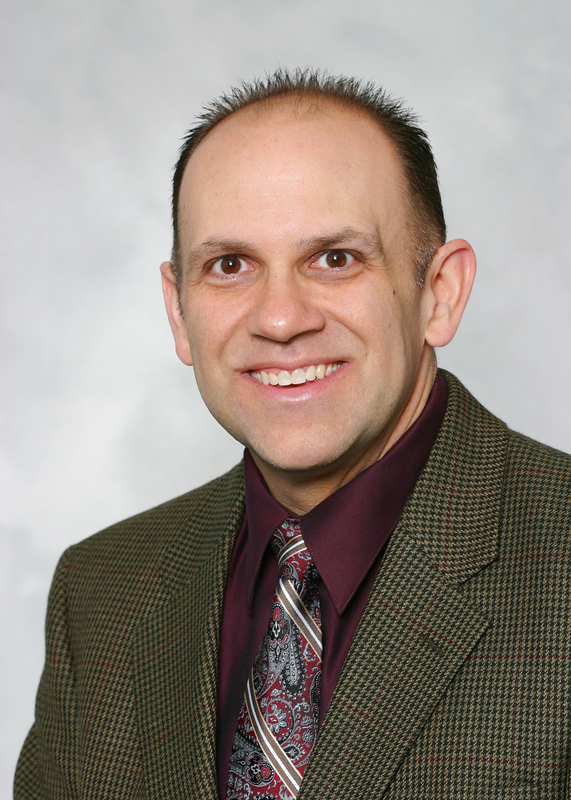 Terry S. Morse: It was definitely a transitional year filled with many successes. Getting to know our staff and management team and better understanding the things our members need from the Association to thrive were certainly highlights. And, from an outsider’s perspective, the challenges of learning more about the groundwater industry have been exciting and ongoing. In all, a great year. WWJ: What were some successes you would point to in 2018? Terry: We had quite a few. Strategically working with the team to restructure our staff and internal processes and procedures was key to keep the Association relevant and important for our members. We also renegotiated current partnership agreements, expanded our managed and affiliate states program, and introduced new member benefits—like updated insurance programs and the Contractor’s Toolkit. Towards the end of the year, I would certainly highlight merging with the Groundwater Foundation, the passage of the Water Infrastructure Act, and signing the MOU with the Water Systems Council. WWJ: Where can NGWA continue to improve as an association? First and foremost, we need to continually look for ways to increase our member value offerings and proposition for all membership sections. We can, and will, engage better with our state affiliates. We have to continue searching for, and implementing, the best technology and use it to our advantage. We want to become the association that adapts to and changes with the times, as opposed to one that stops growing. We need to continue finding ways to be more efficient across the board. We can always improve our sales and marketing strategies and will continue doing so throughout 2019. And last, but certainly not least, we can expand the Groundwater Foundation and the great work it does on a national grassroots level. WWJ: You’ve mentioned a “Blue Ocean” message on several occasions throughout 2018. What is this and how does it translate to NGWA? Terry: “Blue Ocean” is a concept that refers to a messaging strategy. In short, industries or companies that are in heavy competitive environments are cutting each other’s throats to gain market share or profits, which creates a bloody battle or red ocean. Companies need to find their own message or product that is only theirs, something that only they can provide, which creates that organization’s own blue ocean to sail and gain market share and growth. NGWA has identified a handful of Blue Ocean messages that we will, collectively, continue to push across all channels of the Association to raise visibility and strengthen our position in the industry. WWJ: You’ve spearheaded several new initiatives for NGWA and its members. What stands out? Terry: I don’t have a particular favorite because I feel all the initiatives we’ve spearheaded in 2018 are all part of a bigger picture—to increase our member value proposition while continually fighting for the best interest and education of the use and management of groundwater. WWJ: NGWA spent some time developing a new value proposition last year. What is it and why was this created? Terry: Our new value proposition is an important one for NGWA: the industry champion for groundwater and its professionals. Helping our members develop, maintain, and grow successful careers and businesses since 1948. In today’s world, business owners and individuals can find a lot of information they need online. For associations to remain relevant, they must create value by providing programs or tools that are not available elsewhere. NGWA produced a book in 1998 titled NGWA: The First Fifty Years. I looked at it and noticed 20 years later our members are still asking for the same needs and addressing the same concerns they did in 1998. Our challenge, and we’ve already made some great progress here, is to fill this need. The gap has been there for 20-plus years, so now is the time for NGWA to highlight that we provide the programs, tools, and resources to help our members succeed in this industry. WWJ: What’s the one or two messages you would like current and potential members to know? Terry: One, get to know NGWA and all that we have to offer you and your business. Two, visit the contractors’ membership section on NGWA.org and explore the resources on the site. I’m always encouraging our members to utilize and take advantage of what we have to help them become a better contractor and business owner-operator. WWJ: If you’re a contractor and you’re considering dipping your toes into NGWA membership, why should you jump in? Terry: A membership into NGWA is truly an investment in yourself and your business. We are here to help you become better in your profession, whether that’s through education or business development. We have the programs and support mechanisms to make you better today than you were yesterday. It’s a small investment with exponential returns year after year. WWJ: Groundwater Week 2018 in Las Vegas wrapped up your first year. As your first official Groundwater Week as CEO, what were some takeaways? Terry: First, NGWA did an amazing job. To see firsthand all the planning that goes into the event—which starts as soon as we return from the previous year—and to see and experience the final product is an event in and of itself. But what also stood out is that none of this would be possible without the support of our members, volunteers, sponsors, and exhibitors. The commitment from these groups, companies, individuals, and presenters is remarkable. They are the reason there is so much energy, fun, and excitement at the event. WWJ: Lastly, what can members expect to see in 2019? Terry: Our members will see continued development and growth in our value proposition and offerings. We also strive to become better partners with our state affiliates and will focus on state public policy and legislative issues, while continuing our success at the federal level. 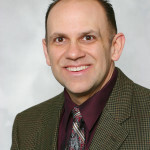 Thad Plumley is the editor of WWJ and director of information products at the National Ground Water Association. 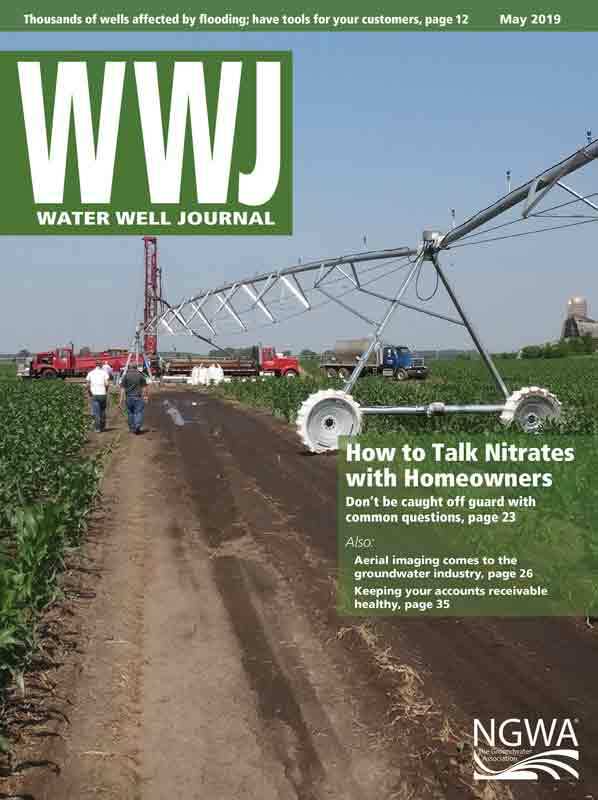 He can be reached at tplumley@ngwa.org and on Twitter @WaterWellJournl.